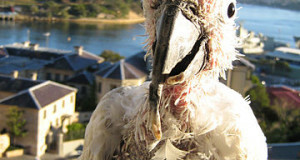 Avian veterinarians report that obesity, and related health concerns such as atherosclerosis, fatty liver and hernias, are now among the most common maladies exhibited by the parrots under their care. The problem is approaching epidemic proportions. Much of what we know concerning obesity in parrots parallels what we have learned about the same condition in people, and leads to similar health concerns. When lab tests are run on overweight parrots, a condition known as Hyperlipidemia – high levels of fat in the blood – is usually diagnosed. As in people, the fats involved, cholesterol and high density lipoproteins, and their effects on cardiac health, are similar. The harmful fats stick to the lining of the blood vessels, thereby increasing blood pressure and placing a strain on the heart. In time, pieces of hardened fat may break off and be carried to the heart or brain, where, again as with people, they cause strokes or death. 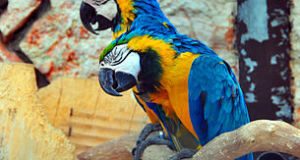 Obese parrots are often afflicted with Fatty Liver Disease, or Hepatic Lipidosis. Liver cells become filled with fats and are not able to perform their usual functions; the cells die and scar tissue forms. Milk Thistle has shown some promise in the treatment of Fatty Liver Disease…please see article below. Despite taking in too many calories, overweight parrots may suffer from malnutrition. This is especially so for those birds which eat only a few favored food items (i.e. sunflower seeds) as opposed to a balanced diet. Lipomas (fatty masses) and hernias often manifest in obese parrots, and problems such as joint strain and bumblefoot may arise due to the extra stress being placed on the legs and feet. Simply put, the problem usually arises from too much food, the wrong types of food, and a lack of exercise (thyroid and other problems can also be involved, so a vet exam is essential before formulating a treatment plan). In the wild, parrots spend most of their day actively foraging for food, and go through times when certain foods are unavailable. Most pets can meet their daily nutritional needs by spending a few minutes at the food cup. 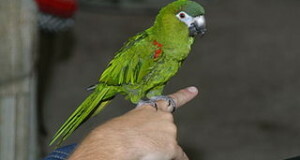 Always encourage your parrot to search for food – hiding food, using foraging toys, and providing whole foods that must be manipulated are all useful techniques. Seed-only diets are often criticized as promoting obesity and malnutrition, but again a detailed study of your bird’s natural foods is needed before proper captive diet can be planned. Certainly, balanced pellet-based diets have their place, as do nuts, seeds, fruits and other foods, depending upon the species. It is important to understand that there is no single fail-safe formula where parrots are concerned. Certain species thrive on very high fat diets, and need such in captivity. Others are adapted to foods that are relatively low in nutrients, and cannot handle fatty seeds and high calorie foods on a regular basis. Amazons, Budgerigars, Quaker Parrots and Cockatoos are often cited as being especially prone to obesity, but studies are lacking. Animals that have evolved in habitats where food availability fluctuates wildly are often able to gorge themselves and add weight rapidly in times of plenty. I have found this to apply to creatures as diverse as Orangutans, Cockatiels and African Bullfrogs, and scores of others. Certain cockatoos and many other parrots are native to such environments, and therefore their food intake must be watched very closely…many seem willing to eat as long as food is available, irrespective of hunger. This is a useful survival mechanism in the wild, but backfires when food shortages are no longer a fact of life. Be sure to carefully research your bird’s natural history, and write in if you would like diet recommendations. Commercial foods specifically formulated for individual species or groups of parrots can be very helpful when you are formulating a diet for your pet. I feel that the best way to assess your bird’s condition is to have an avian veterinarian show you how to perform a manual examination of the bird’s muscle tone and fat deposits. Many guidelines have been published, but I find them to be confusing and too general to be of much use…species and individuals vary greatly, as do conditions that may be mask weight gain or loss. 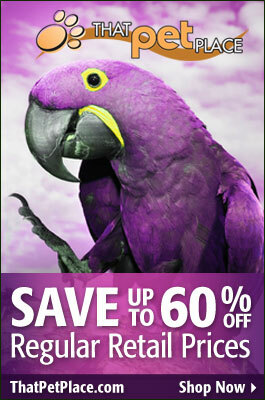 If your parrot is found to be overweight, your vet can show you how to take its weight and advise you on a weight loss program (5% monthly is often suggested as a weight loss-goal). Exercise, either via flying or walking, is critical, and should be part of any weight loss plan.